Assessment of the coastal dunes between Scarborough Beach and Trigg Island: Dr Vic Semeniuk of the V&C Semeniuk Research Group outlines the type of dunes present north and south of Scarborough, and that they are of state-wide significance. Vegetation of the BFS 308 Dunes: Judith Harvey, botanist, from the Wildflower Society of WA lists the vegetation species of the dunes north of Scarborough Beach. Entrepreneur Rail Model – Discussion Paper: Curtin University, February 2016. How a light rail system can be built using the private sector, at no cost to government. Stirling City Centre Light Rail Feasilbility Study Part 2 – Parsons Brinkerhoff Pty Ltd, November 2010. 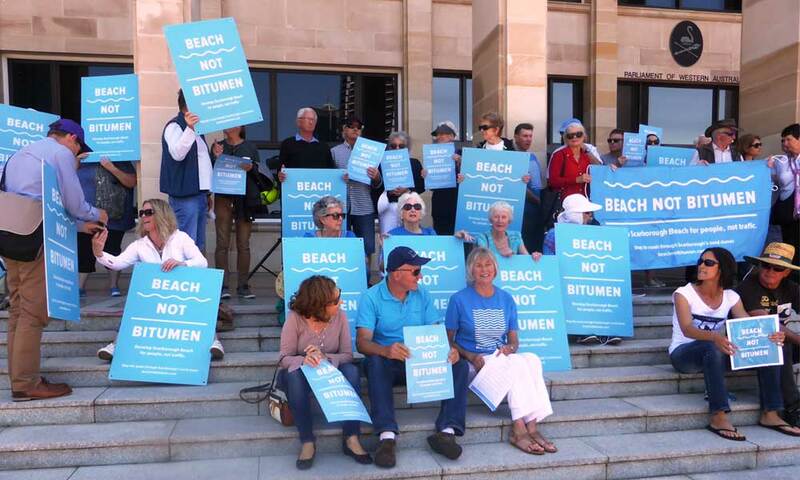 Shows that light rail would be feasible and a perfect solution for Glendalough Station – Scarborough Beach traffic. City of Stirling Council Elections: Which Candidate is Fighting in our Corner?